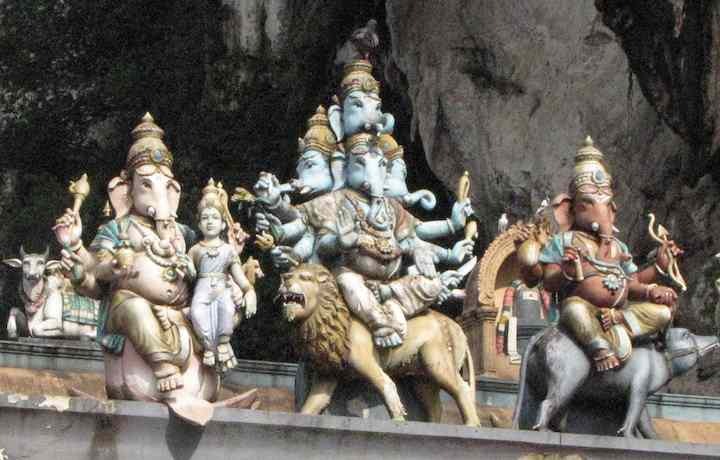 This photos shows painted statues from the temple at the foot of the stairway to Batu Caves. 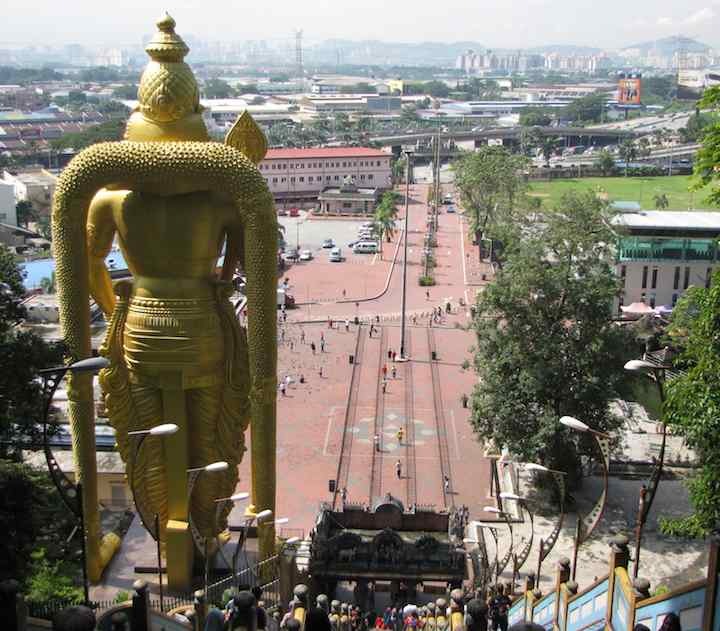 There are several temples at the base of the stairs, including a very interesting one near toward the train station. I’ll post more photos from ground level at some point. 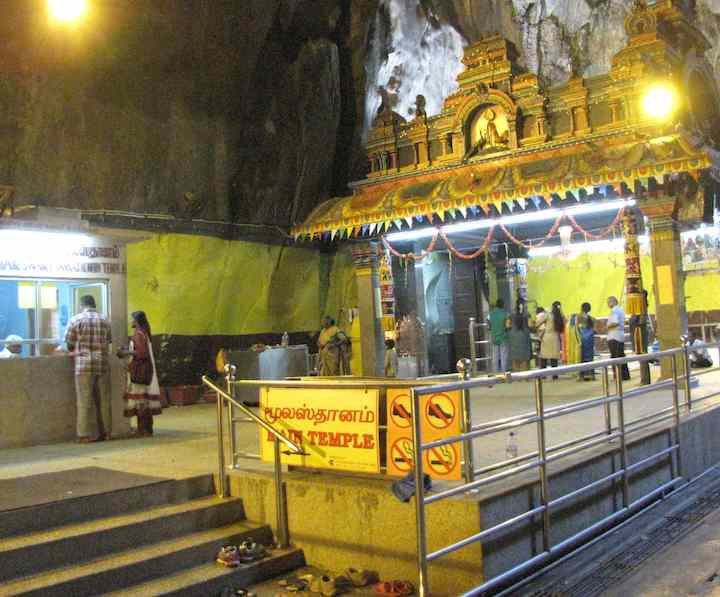 This is one, of several temples, inside the caves themselves. There are also shops inside the caves. 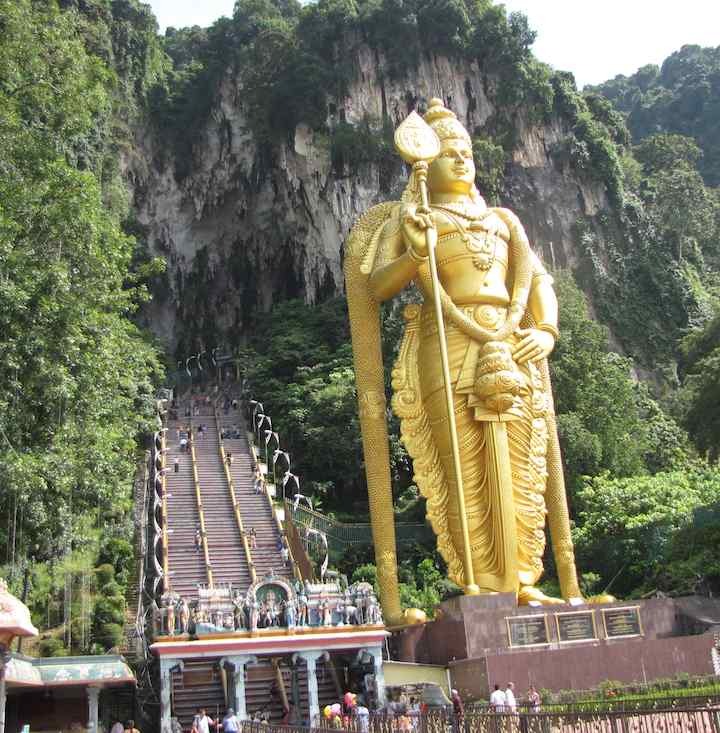 About 90% of the way up the stairs there is also an option for guided tours in another complex of caves (for a fee). I enjoyed it. 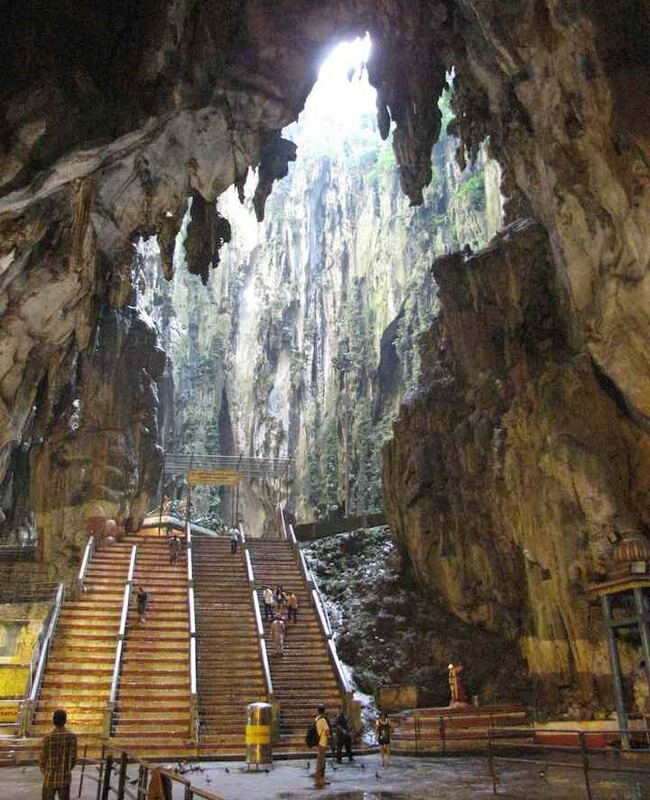 It is pretty much like other caves I have visited. I’ll also post more on this at some point. A view looking back from high up on the stairs.